The newest issue that is gripping our society is obesity and insurance companies are starting to join the fray to combat its spread. 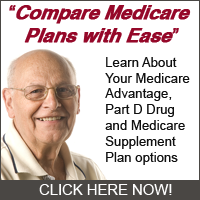 Medicare has joined the insurance world’s approach to covering and combating obesity in 2012 by making it a covered service. Obesity screening and counseling are now covered services that you can get help with when you have Medicare as your primary insurance provider. Intensive counseling by Medicare kicks in when your body mass index surpasses the 30 mark during your screening. This is another service that will start in a primary care setting with your primary doctor doing the screening and counseling. When you go to your primary care doctor for your next checkup you should bring up this service and see if you can get started. What is a struggle about overcoming obesity is that it is not a quick fix, it is something that requires an entire change to your lifestyle. This is why your doctor needs to be involved from the start and stay with you on your plan to fruition. Look at this as an opportunity for you to change your life and become healthy while being covered by your health insurance.